Tim Colliver’s Cherry Delight is shown in this photograph. Hello. 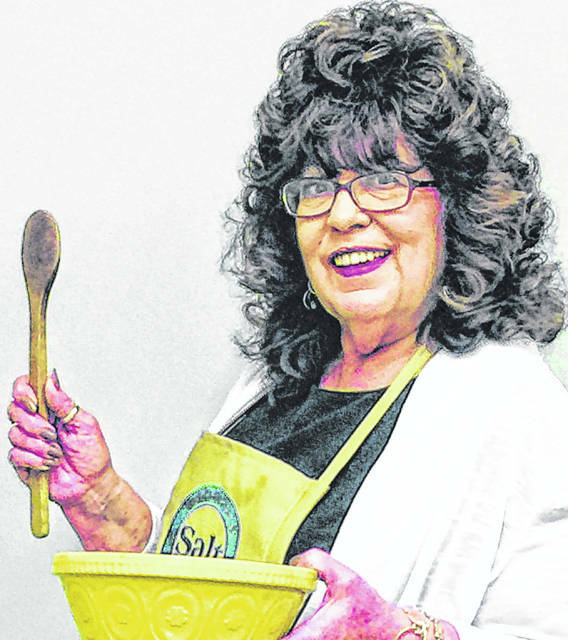 This week In the kitchen with Sharon is my trusty friend and co-worker Tim Colliver. Not only is he a great baker, but he’s also a great reporter. Plus, he made enough for us to have some of this great desert. Thank you so much Tim. You are the best. 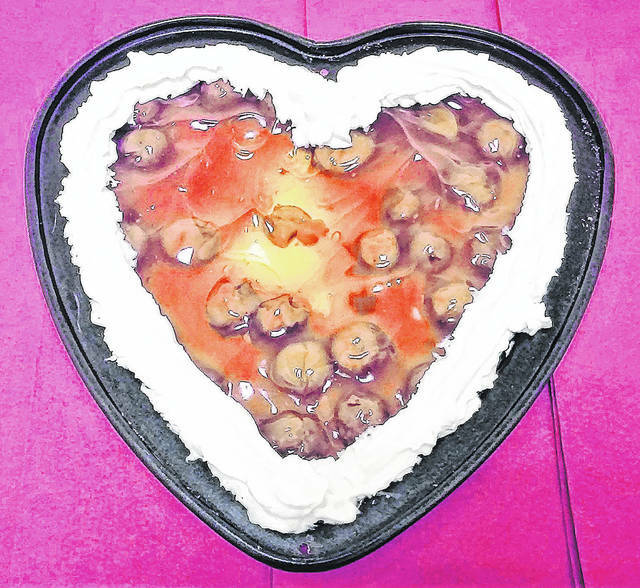 This Cherry Delight is a perfect desert to make for Valentine’s Day. Happy Valentine’s Day to everyone, and enjoy this recipe from Tim. 1 stick of real butter, melted. 1 eight-ounce package of cream cheese, warmed up to room temperature. (I recommend using Philadelphia brand, since some of the store brands at times will beat into a grainy texture). 1 ½ cups confectioner’s sugar. 1 container of whipped topping. (Like the cream cheese, I recommend using original Cool-Whip. Though a store brand will mix properly with the cream cheese, after a few days in the refrigerator you may have an oily mess instead of a nice dessert). 1 can cherry pie filling. (This receipe makes a killer blueberry delight as well)! Mix the graham crackers, butter and sugar together and shape it into a crust in the bottom of a 9 x 13 x 2 baking dish. Place in the refrigerator to firm it up. In a mixing bowl, mix cream cheese, confectioner’s sugar and whipped topping. Remove baking dish from the refrigerator and spread that delicious cream cheese mixture over the graham cracker crust, using a spatula to spread out evenly. Pour the can of pie filling over this, spreading it over the cream cheese. Return to the refrigerator for about an hour. Serve this to your wife or girlfriend and she’ll forget all about chocolate. Sharon Hughes is the advertising manager at The Times-Gazette. She is also a mother, grandmother and chef. She can be reached at 937-393-3456.